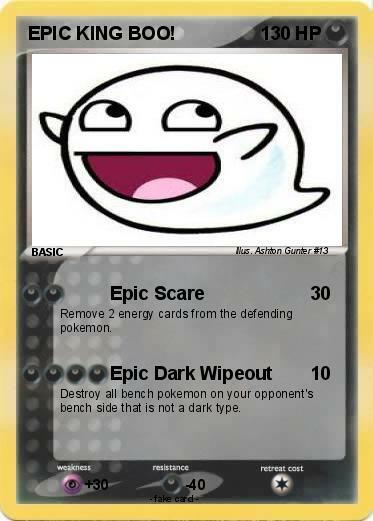 Name : EPIC KING BOO! Remove 2 energy cards from the defending pokemon. Destroy all bench pokemon on your opponent's bench side that is not a dark type.